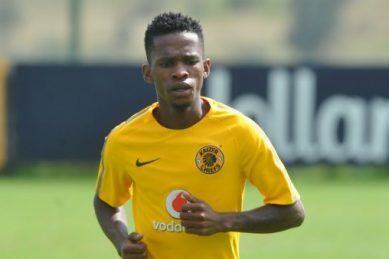 Kaizer Chiefs forward Kabelo Mahlasela will watch his teammates from the sidelines in the next game as he will be nursing an injury. 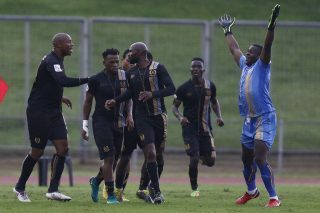 Mahlasela was lucky to escape without a fracture in Amakhosi’s 4-2 win over Chippa United at the weekend in the semifinals of the Nedbank Cup. 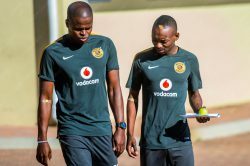 Kaizer Chiefs playmaker Khama Billiat was left unharmed after his car veered off the road. 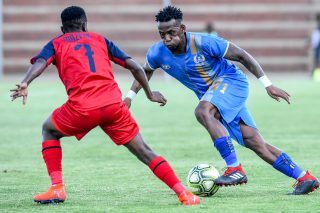 Royal Eagles moved to the top of the National First Division standings in seeming off fellow promotion contenders Ajax Cape Town 3-1 at the Chatsworth Stadium in Durban over the weekend. 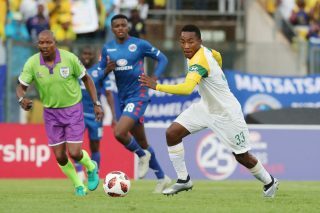 Defending champions Mamelodi Sundowns had to work hard for a 2-1 league win over relegation-threatened Baroka FC at the Old Peter Mokaba Stadium on Saturday afternoon. 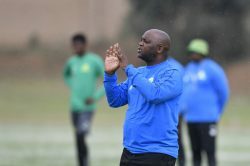 Mamelodi Sundowns will look to re-ignite their Absa Premiership title challenge when they travel to Baroka FC on Saturday in what will be the only PSL clash this weekend. 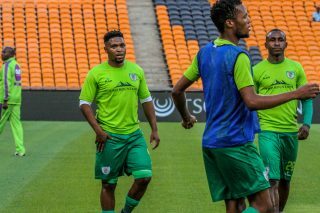 Golden Arrows defender Musa Bilankulu has admitted that the club is under pressure to advance to the final of the Nedbank Cup. 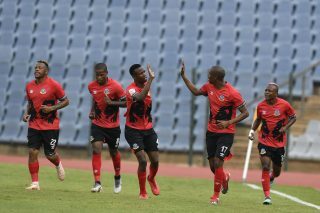 Mathematically Tshakhuma can finish first and win automatic promotion to the Absa Premiership next season. 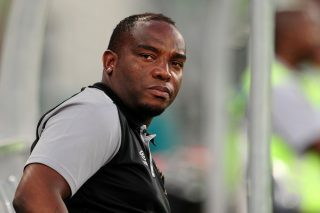 “They are the fans that every other club looks to because they are always behind their teams in no matter what the outcome is so this is little bit sad,” said Benni. 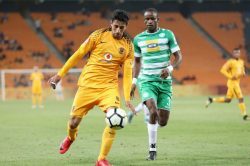 The Premier Soccer League on Friday announced a venue change for the Premiership fixture between hosts Bloemfontein Celtic and Kaizer Chiefs on April 27. 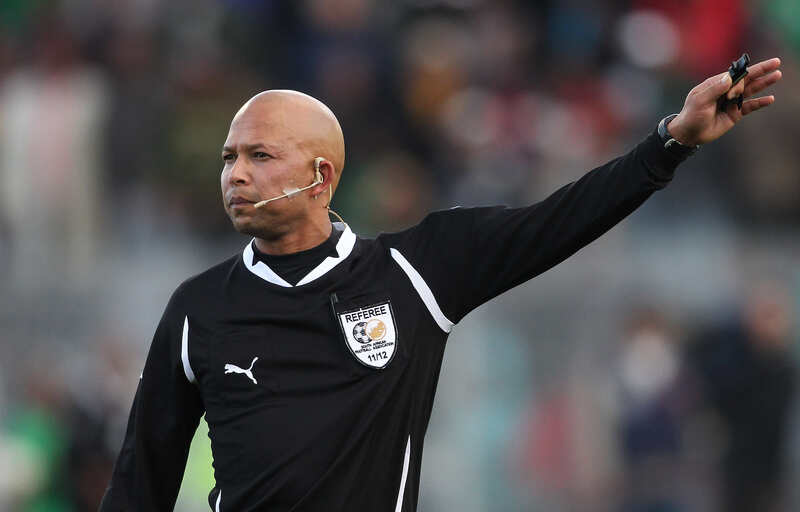 Former World Cup referee Jerome Damon has been appointed Fifa’s Referee Development Officer for Africa. 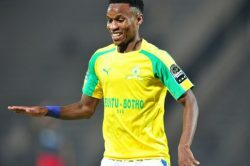 Mamelodi Sundowns have written to Caf asking the African football mother body to reschedule their semi-final first leg clash with Morroccan side Wydad Casablanca. 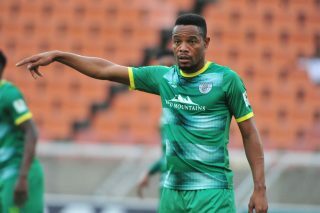 Thabiso Semenya is set to miss Baroka’s game against Mamelodi Sundowns because he is getting married on Saturday afternoon. 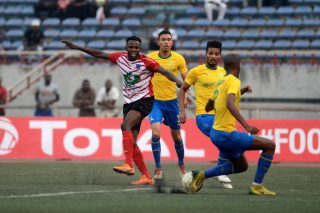 National First Division side Royal Eagles have been accused of paying referees to get penalties in their league games. 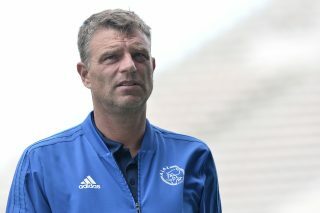 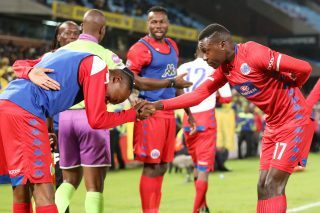 Free State Stars picked up what could be a valuable point in their battle against the relegation axe after managing a 1-1 league draw against Highlands Park at the Makhulong Stadium on Wednesday night. 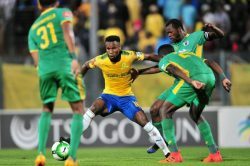 Mamelodi Sundowns return to Absa Premiership action with a clash against Tshwane rivals SuperSport United at Loftus Versfeld Stadium this evening. 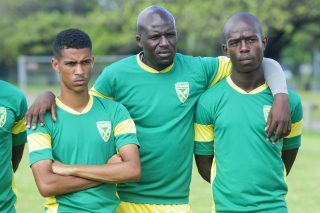 The Urban Warriors are second on the National First Division League table with 48 points after beating Cape Umoya 1-0 last weekend. 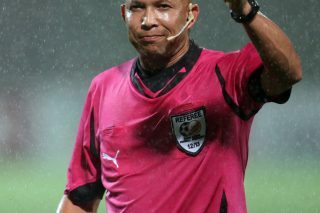 Retired referee Jerome Damon is set to take up a top job at Fifa as a referee Development Officer for Africa.